In this new article we shall discuss about implementing the model layer for a simple REST style web service, presented in a book authored by Eben Hewitt, called SOA Cookbook. 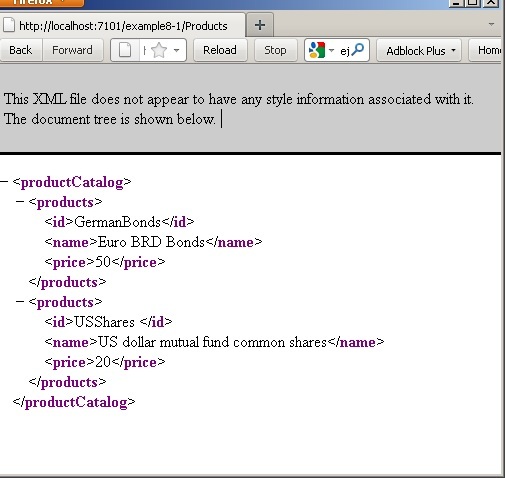 In example 8-1 the author presents a plain servlet which draws hard coded values from a pojo called ProductCatalog. The XML values returned in the browser are the ones that are statically hard coded in the pojo's constructor. 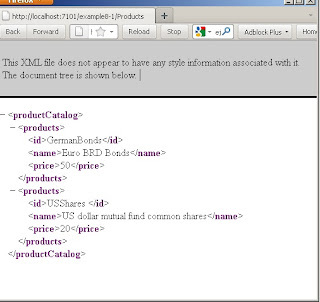 The original idea to extend the example, was to provide dynamic data from querying a database. Providing an entity bean for the Product and a stateless ejb 3 as a facade to query, seemed as a straightforward suggestion. As far as java 1.6 and JDeveloper 11.1.2 was concerned, that was merely wishful thinking! javax.persistence.EntityManager is an interface, and JAXB can't handle interfaces. javax.persistence.EntityManager does not have a no-arg default constructor. 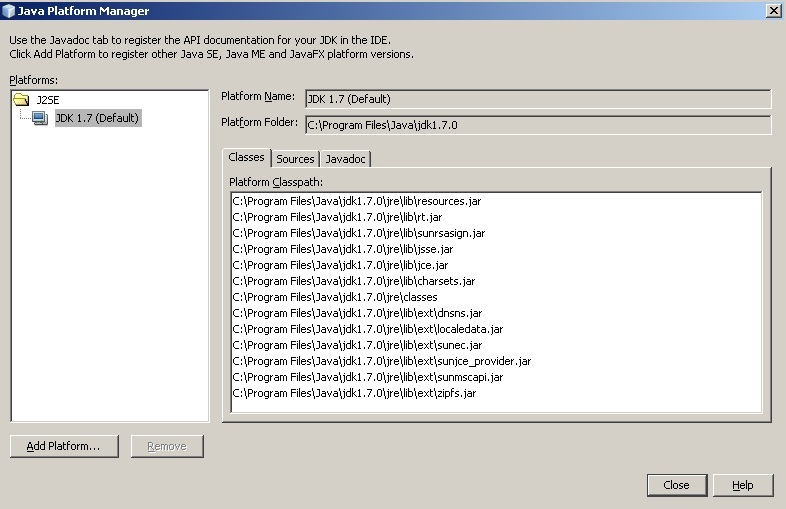 The most I could do this way was to access the db using a EJB client. The EJB code won't be displayed for brevity! Although I have received a warning that samplecode.oracle.com in its current form is being decommissioned on November 1st, 2011, the full source code can be found here, and is given as usual, without any guarantee of support, etc. The view layer for now, is to remain as is! Impressive, isn't it? Next populate the table with sample data. //Don't you dare, no other getter there! Class has two properties of the same name "products"
Application-managed EntityManagers, outside the Java EE container, save the day! // not the same with example8-1 ! A second introduction to EE is superfluous: no more user credentials please! Internal Exception: java.sql.SQLException: User: fusionEJB3, failed to be authenticated. Automatically generated code is not certain to be error free! 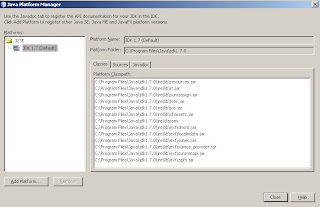 It could cause run time exceptions in one IDE and specific application servers, ie Weblogic 10.3.5. In addition, migration to newer jdk versions are advantageous in most cases. 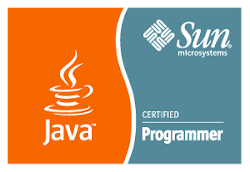 Even though some resources, excellent books, or tutorials such as those from the open source or Sun Netbeans community, are highly advanced, demonstrating the latest technology quite well, some are still incomplete. Given that oracle bred java EE developers have a different philosophy, i.e. are accustomed to setup db access as a first step, it is obvious that there is a huge gap in the way of thinking, between the two communities. This gap is for Sun Oracle press, university, marketing, or whatever other department to bridge. Until then, all incomplete open source recipes are candidates for some kind of integration coding exercise, or maybe not?